The second ECM New Series album to fully showcase Estonian vocal group Vox Clamantis is devoted to compositions by their great countryman, Arvo Pärt – whose music has been the most performed globally of any living composer over the past five years from his 75th birthday leading up to his 80th last September. 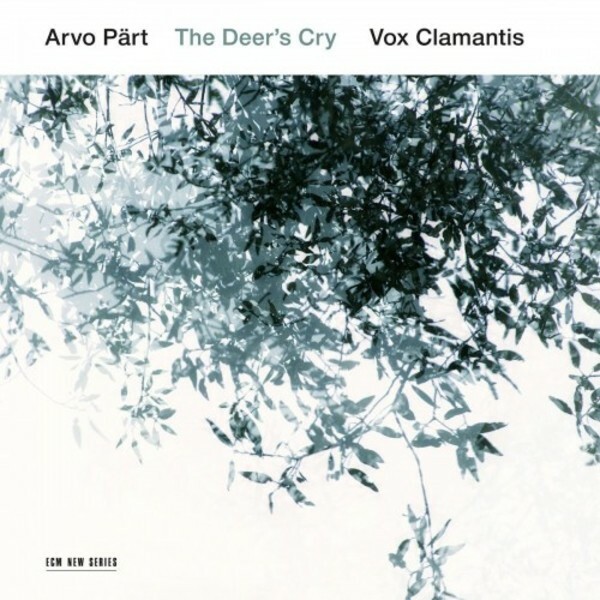 This album – titled ‘The Deer’s Cry’ after its opening track, an incantatory work for a cappella mixed choir – is also the latest in a long, illustrious line of ECM New Series releases to feature Pärt’s compositions, the very music that inspired Manfred Eicher to establish the New Series imprint in 1984. Along with such classic works as Da Pacem Domine, the new album includes first-time recordings of the a cappella pieces Drei Hirtenkinder aus Fátima and Habitare Fratres. There is also an a cappella version of Alleluia-Tropus, which Vox Clamantis previously recorded alongside instruments for the Grammy Award-winning ECM New Series album ‘Adam’s Lament’. Rarely recorded material makes up nearly half of this release, which includes three pieces with subtle instrumental accompaniment: Von Angesicht zu Angesicht, Sei gelobt, du Baum and Veni Creator.